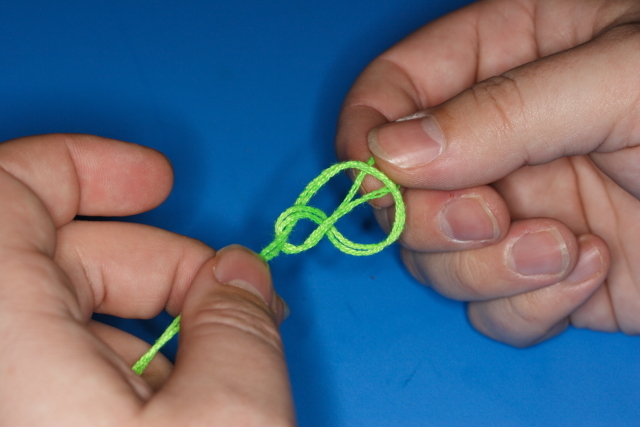 Note that now it resembles a number “8″, if your knot does not resemble a figure “8″ then you have tied it wrongly. 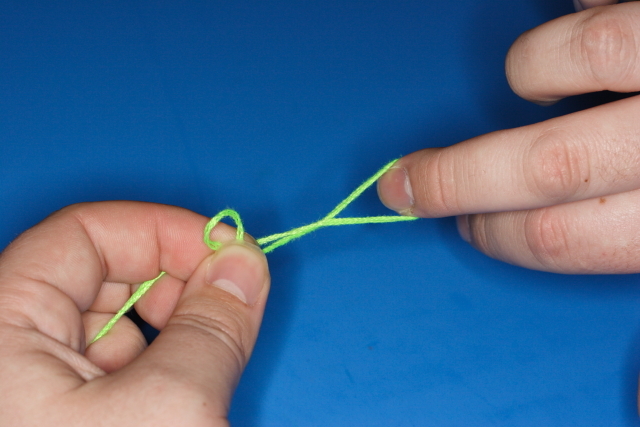 Moisten with saliva and pull tight. 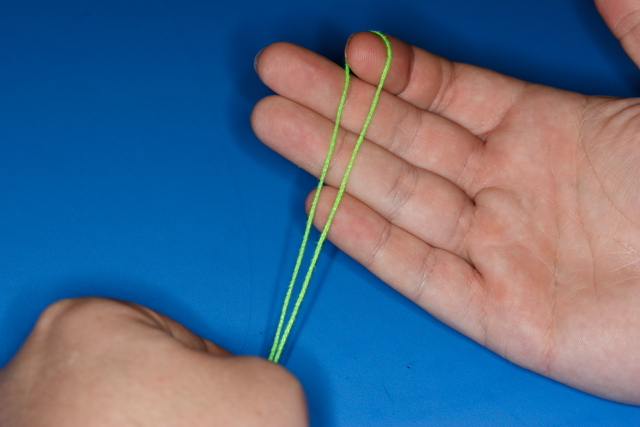 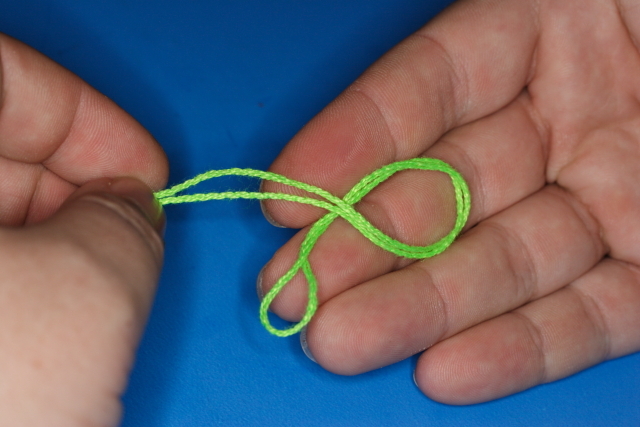 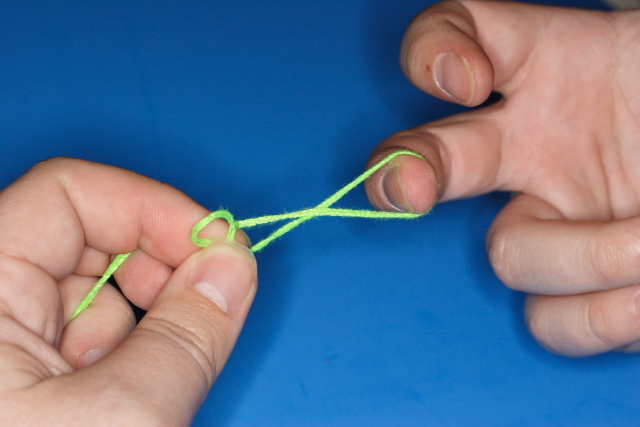 You have just created a loop knot one of the strongest loop knots there is.